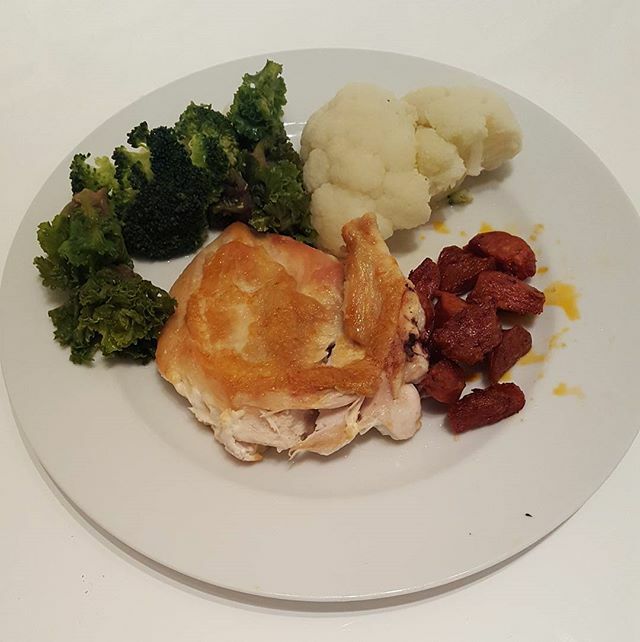 organic crispy chicken breast on the bone cooked in coconut oil and chorizo sausage with broccoli and cauliflower. This entry was posted in Lifestyle and tagged chicken, diet, grilled, healthy, healthyeatiing, healthyfood, inspire, lifechange, lifestyle, lowcarb, motivate, positivity, protein, recioes, vegetables, weightloss, weightlossjourney, weightlosstransformation, youcandoit by ceril. Bookmark the permalink.